RALEIGH, N.C. — Within hours of announcing its sale to the maker of Budweiser, North Carolina's beloved Wicked Weed beer lost its voting rights in a craft beer guild, was booted from collaborations with two independent breweries and exiled from at least a handful of stores and restaurants. The deal announced last week represents the latest front in the battle between macro- and micro-brewers as behemoths such as Anheuser-Busch Inbev acquire independent brewers to harness the craft segment's fast growth. Wicked Weed will be one of a dozen brands in Anheuser Busch's unit called The High End, which includes Breckenridge Brewery in Colorado and Goose Island Brewery in Illinois. Other well-known craft brewery acquisitions include the purchase of California's Ballast Point by Constellation Brands, while Molson Coors owns stakes in smaller brewers such as Georgia's Terrapin Beer Co. 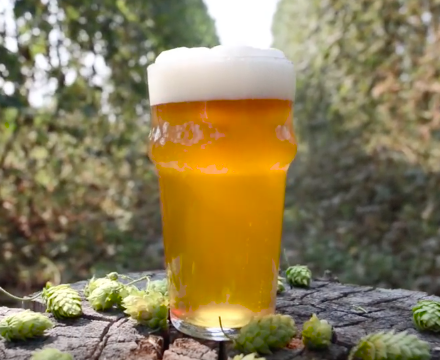 However, craft beer lovers seemed to take the sale of Wicked Weed harder than other recent deals, judging from scores of social media comments, said Paul Gatza, director of the Brewers Association trade group. He believes that could be because of Wicked Weed's reputation for creativity, particularly sour beers. Craft brewers' share of U.S. retail beer sales was nearly 22 percent in 2016, according to recent figures from Gatza's group, which represents small and independent brewers. The number of barrels produced by craft brewers has more than doubled since 2011 to nearly 25 million, the group said. The deal, subject to regulatory approval, will make Wicked Weed a subsidiary owned outright by Anheuser Busch Inbev, said Adam Warrington, a spokesman for The High End unit. Asked whether any production could shift to Anheuser Busch facilities outside North Carolina, Dickinson said it's a “very real possibility,” and he wouldn't be worried about quality declining. The Wicked Weed news drew scores of comments online. Many people decried the sale, while others said they intended to keep drinking the brand's flavors that include Pernicious IPA and Lunatic Blonde. “We truly believe that ABinBev intends to systematically destroy American craft beer as we know it,” said Black Project's James and Sarah Howat in a blog post. Brawley's Beverage in Charlotte was among the stores and restaurants that said they would stop selling Wicked Weed. Still, Brawley said he's been getting calls from Wicked Weed drinkers who are mostly interested in buying the beer on the cheap through his fire sale.